As your business grows in revenue and profit, you are likely also growing in size. 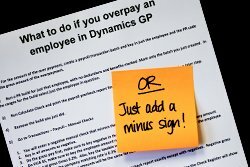 Soon enough, Microsoft Dynamics® GP Payroll out-of-the-box is no longer able to support this growth. Manual processes around pay rate changes, overtime hours and payroll corrections simply can’t bridge the gaps for very long. Each of these things takes more time out of your day and distracts the focus from continued growth. Nurture growth by putting our easy GP payroll processing solutions in place. 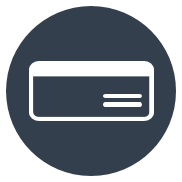 As you take a proactive approach to business growth, take a proactive approach with your GP payroll processing systems. Look for weaknesses, redundant data-entry and other time-wasting procedures. Then determine how you can improve these operations with our solutions. Rebeccah Grimes, Business Analyst, Commercial Foodservice Repair, Inc.
One of the most challenging processes in payroll is correcting mistakes after payroll has been run. Even with GP Payroll out-of-the-box, it can take as many as 17 steps to make the correction. Deploy Negative Payroll Transactions and make a correction in just one step. Reversing incorrectly paid earnings on a previous payroll run, using this GP payroll processing software will automatically update general ledger entries, payroll reports and leave an audit trail. Refunding over-withholding can also be a complicated process. Negative Deductions Enhancement was designed specifically to address over-withholdings and saves valuable time in the payroll department. Simply enter a deduction for over-withheld health insurance or life insurance amounts and let Negative Deductions finish the process. 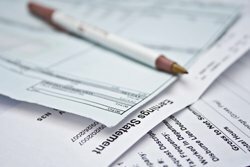 Deductions can be delivered on a check with wages or a check with no wages. The deductions will appear on a pay stub and a transaction report will detail the converted and non-converted deductions in the payroll process. Pay rate changes can happen at any time and for almost any reason. 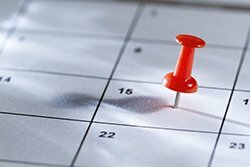 Employees get raises, for example, and the dates they become effective are often specific. Unfortunately, they rarely coincide with payroll processing. Mid Pay Period Rate Changes is an easy fix for this particular payroll complication. With this simple add-on solution, you establish the pay rate changes and the system will store that information for the next payroll run. This GP payroll processing solution will enforce different pay rates within the same pay period. Employees can easily verify their changes on their earnings statement. They’ll see the hours and old pay rate on one line and the new hours under the new pay rate in another line. 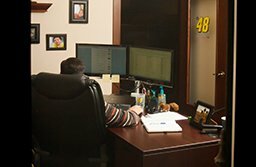 Calculating overtime usage is time-consuming and difficult to track in real-time, which is risky. Uncontrolled overtime can become expensive and some states have implemented overtime rules, such as the California 7th day rule. Establish overtime rules based on employee, department, position or regulations and let Overtime Hours Rules automate hours during the payroll process. You can then monitor overtime more closely and maintain compliance with state or other regulations.